Wambui Bahati, a.k.a. John-Ann Washington, shares a powerful, personal and important story about mental illness, self-esteem, self-love and courage. She was born and raised in the segregated south during the 1950s and 1960s and has sprinkled the narrative with significant national historical events, and how they personally effected her life. She invites us in for a behind the scenes look at her years as an actress on Broadway and in national touring shows. From Broadway star to mental patient. Her struggle with mental illness is the underlying and recurring theme in her life until, the day, she walked away from the mental health system and became her own doctor and healer. 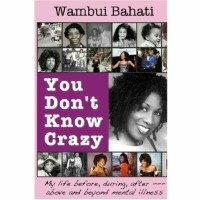 Wambui shares how mental illness 'stole' her life and how she took it back and re-invented herself. The college dating abuse statistics are alarming. Some studies suggest that 1 in 5 relationships at college involves violence. Sixteen-to-24-year-olds have the highest reported incidence of domestic and dating violence, according to Department of Justice statistics. This book speaks specifically to college women. It is a reminder to the reader that there is no reason to accept or stay in an abusive relationship. In the book are things to be aware of when considering a relationship, how to possibly avoid an abusive relationship and what to do if they or a friend is in an abusive relationship. 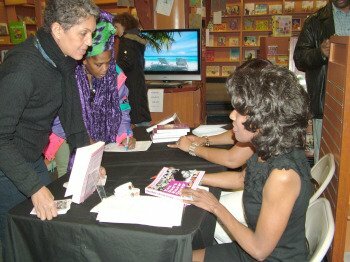 The book encourages women to live with dignity and seek help to rebuild their self-esteem after an abusive situation. With her essays, poetry, lyrics, illustrations and notes, entertainer and author, Wambui Bahati, opens her life, mind, soul and spirit for the reader to embark on a wonderful and powerful emotional roller-coaster ride. Smile, laugh, cry, be inspired, remember your strength and power, or take a trip down memory lane—back to the 1960s—or, the ol' plantation. In this anthology, topics that Wambui comment on include love, fear, honoring ourselves, taking responsibility for our happiness, dish-washing, television, Christmas, etc.